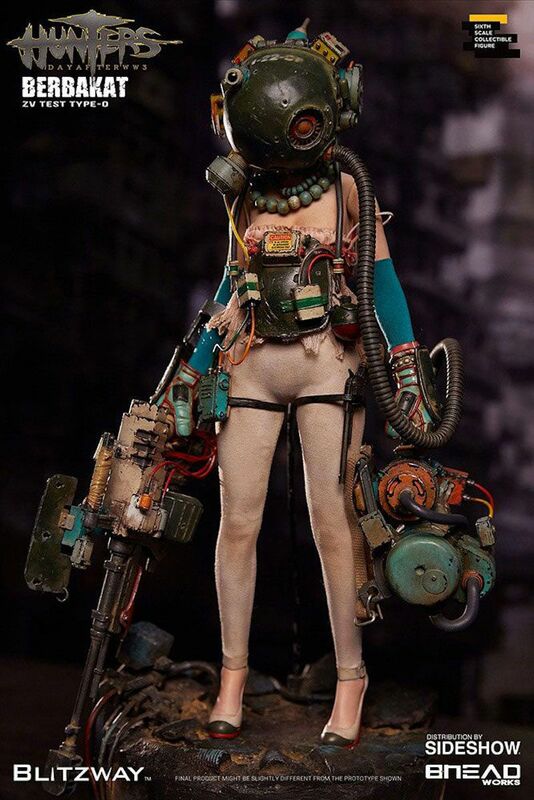 BHEADworks (Artist Yeongyun, Jung) has been received much love and appreciation by presenting sensual figures of the outlook on the world of dystopia. 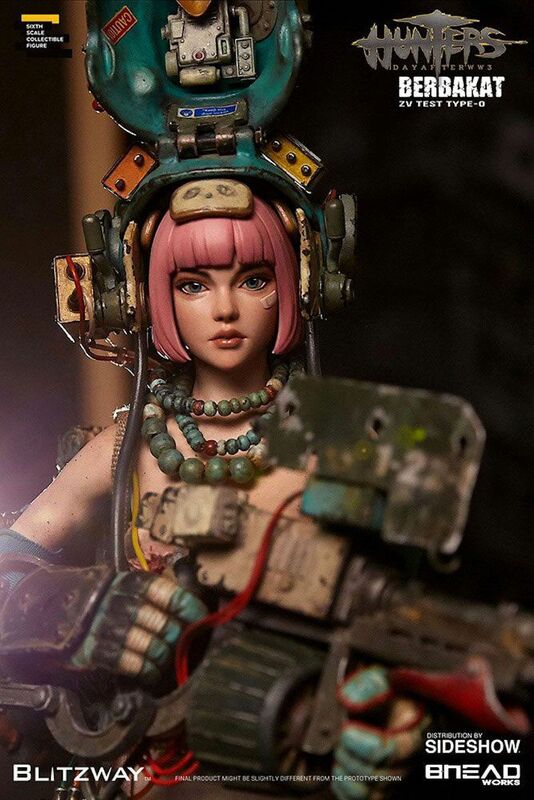 It is such a pleasure to officially present ‘BERBAKAT ZV.TT-0’ in BLITZWAY, which was the second character of BHEADworks’ original design figures, ‘Hunters: Day after WWIII’. 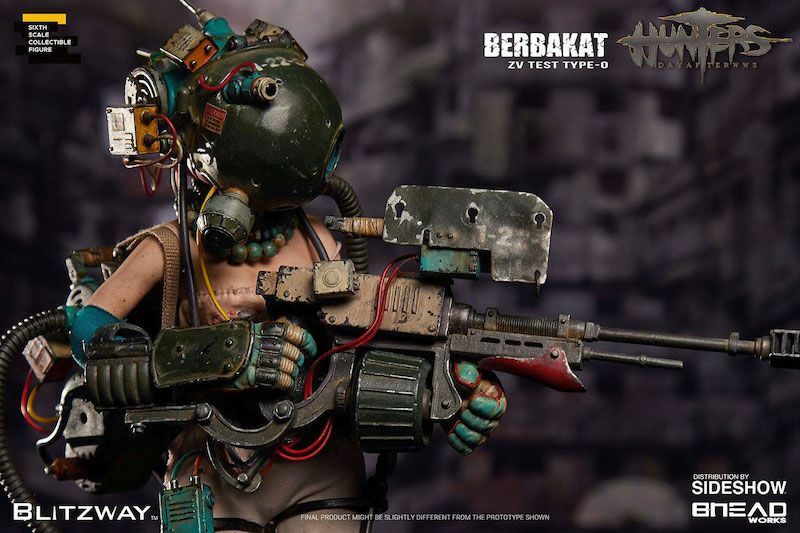 There’s really no reason for a combat weapon, the horror of the battleground, to look like a human, but for whatever reason, Berbakat resembles a person. 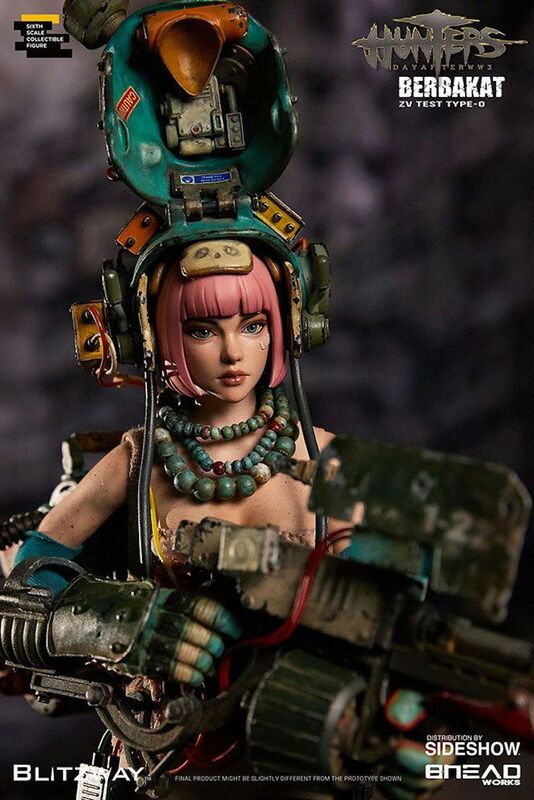 who fires a tank gun bigger than her own body without hesitation. It tells the fate of humans and machines on the border of life and death, existence and absence, unconsciousness and consciousness. We created a rough yet sophisticated work. It expressed the mystery of feeling both realistic and unrealistic. This stylish artwork, full of rich colors, realistic shapes, and logical elements will be a new joy to your collection. Please do not miss this opportunity if you want to experience a different level of beauty and intense sensation! 1 Luxurious and weighty POLYSTONE diorama base.